Thank you so much for everything you have done for us and the show. It has been great to work with you again. 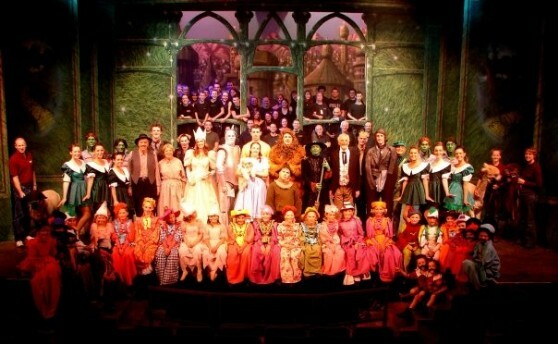 Oliver from Performance Services has worked on over 250 theatre productions and live events in many venues including The Playhouse Harlow, The Lyceum, Hippodrome, Victoria Hall Theatre, Homerton College Cambridge, Rhodes Centre Bishops Stortford, Her Majesty’s Theatre, Stevenage Leisure Centre & Harlow Leisure Zone. He usually works in collaboration with venue crews and other companies on large events. Oliver specialises in sound and has lots of experience of installing & operating temporary sound systems, managing radio microphones & providing music & sound effects. No events or productions are ever the same so there is always something new to learn. When Oliver started in 1996 there were no computers in use and everything was analogue now computers are standard for playback and many events use digital sound desks. Oliver has been very lucky over the years to work with, and learn from, some fantastic friends who currently work in the West End and on International events. Performance Services have been involved in technical aspects of theatre since 1996 including sound, lighting, video & stage management.